On-Campus College or Online College: Which Fits You? Long gone are the days of being limited to simply deciding which college to attend. Today’s incoming college freshmen have the choice of an on-campus program, an online program, or a combination of the two. But which option best fits you? In order to choose what fits you best, there are important considerations for each option. When you consider going away to college, it is important to not only consider the qualities of the school but also the location and the setting. How far away from home is optimal? Do you want to be close enough for parents to visit you easily or further away to truly get a sense of being out and on your own? In addition, do you currently live in an urban or rural setting, and do you want to also experience that type of college setting or would you prefer to experience something different? An online college program allows you the flexibility and independence to remain in your current location and setting. Will you have the space and quiet time you might need in order to set aside time for studying and completing assignments? Consider talking with those in your home about how this might be an adjustment of roles for both you and your parents and/or siblings. Moving to a college campus appeals to many students. There are many opportunities to meet new people and make new friends in the dorms, in classes, and at campus activities. Does moving away and meeting new people sound exciting to you? Even in online programs, many colleges build in community experiences or options. Would you prefer to interact with your peers in an online environment through chat sessions, virtual meeting rooms, and discussion forums? In addition, some online programs offer travel and study learning experiences such as internships and study abroad opportunities. If this appeals to you, be sure to ask college reps what the online learning community offers their online college students and what opportunities there might be for traveling and learning. On-campus programs typically require attendance in on-campus classes. Do you prefer to attend face-to-face classes? Do you learn best when you participate in hands-on activities and listen to direct instruction and lectures? Would the accountability of required attendance at set times and in set locations help you best manage your time and achieve your learning goals? Online programs typically offer content in weekly modules, with mid-week and end-of-week due dates to guide students through the course. Some online programs do offer a live, virtual meeting option or videos of lectures and direct instruction to help guide learning. Does having the flexibility to adjust your weekly schedule to meet due dates appeal to you? Do you have the skills to learn independent of in-person instruction? 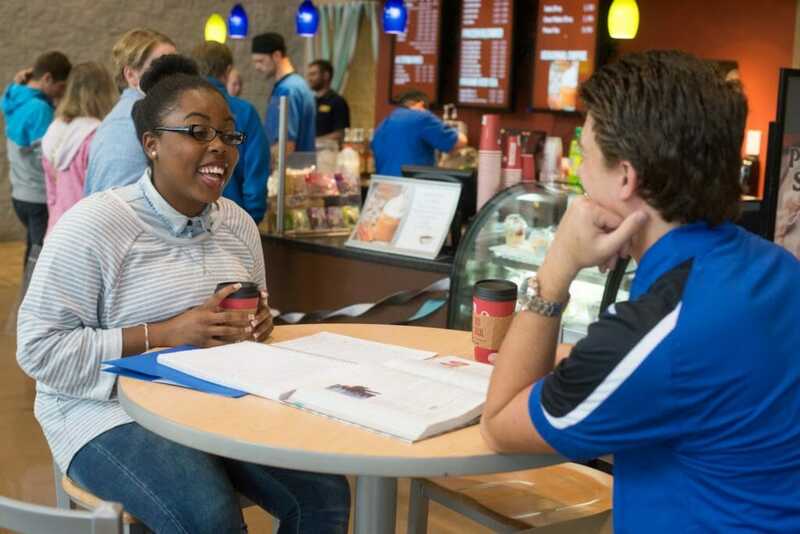 On-campus faculty are typically available in an on-campus office throughout the week, and most campus locations offer student support offices with services such as tutoring, study skill development, and services for students with specific learning needs. Would you take advantage of these in-person services? Online faculty are typically available via email and phone, and sometimes for virtual office hours via a virtual platform. Most online programs also offer student services for their online students with specific learning needs and to support online learning overall. Does being able to access these services from home appeal to you? Blended and hybrid options typically allow students to choose both on-campus learning and online learning based on course offerings and specific needs and situations. 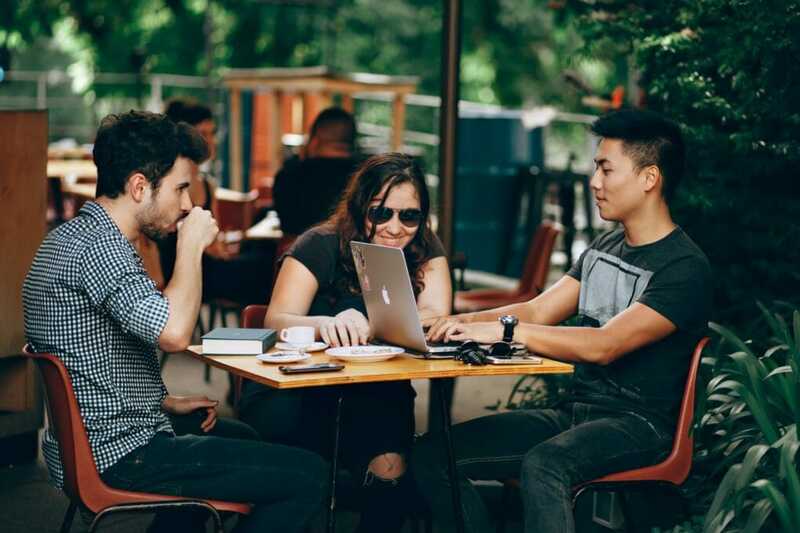 Benefits of a blended or hybrid college program are that you get the best of both worlds, having the flexibility to study from home some semesters and the benefits of studying on a campus community other semesters. Be sure to ask if this is an option when you are considering your college options! Consider Ohio Christian University’s Residential Undergraduate program, an Associate or Bachelor degree program at our main campus in Circleville, Ohio. Students can either commute or live on campus, attend weekly chapel services, participate in small groups, and more! For more information visit ohiochristian.edu/undergrad. Consider Ohio Christian University’s Online Plus program, an online Bachelor degree program allowing you to complete 100% of your program online plus choose from options to study abroad, complete internships, spend a semester on campus, and more! For more information visit ocuonlineplus.com. There are a lot of things to consider when choosing a college, and one of the most important is something you may not know to look for. It’s why I chose University of Mobile. 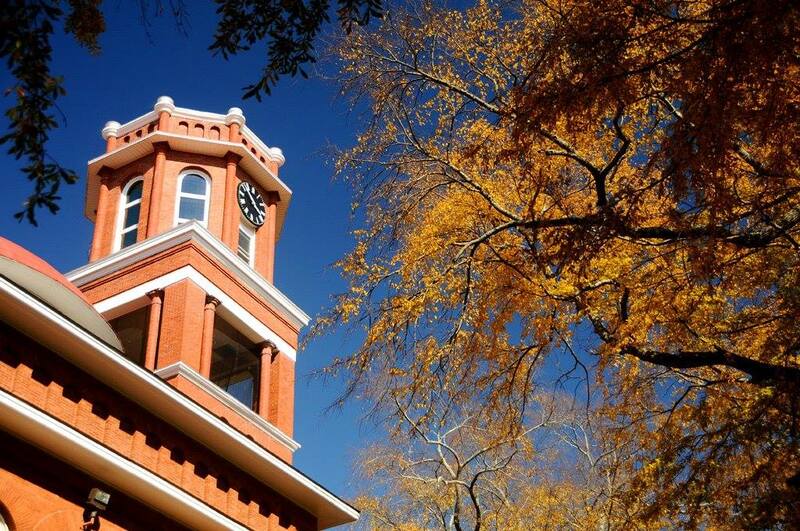 University of Mobile is not your typical college. UM has deep convictions and a strong foundation that set it apart. 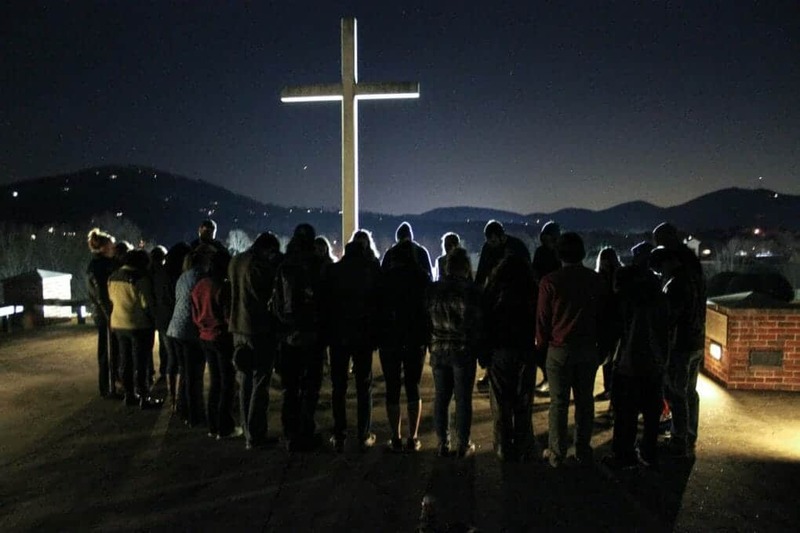 As a high school student considering what college to choose, you may think that convictions and foundation may not matter to you now, but those are two things that drastically affect the mission of those in leadership and the message that they send to students. The mission and message of the leadership at University of Mobile is clearly gospel-centered in every area. Some claim accolades on a football field, but we claim a distinctly biblical worldview – and that is what matters in light of eternity. In my years here, I have noticed that faculty and staff are focused on more than simply academics. An example of this in my own experience has been with my professors who not only prepare us academically, but also care deeply about our walk with the Lord and that we exhibit faithfulness in every area of life. The gospel and its implications are what drive the faculty and staff here, and their distantly Christian worldview is evident in how they care for their students. In any establishment that claims to have a Christian worldview, the first question to ask is: Are they gospel-centered above all else? For me, the evidence is clear for University of Mobile, and everyone who gets to be a part of this university is blessed because of it. Gospel-centered leadership matters for so many reasons, but the most basic is that what we do with the gospel affects every facet of our life. The leadership here at UM is saturated with the gospel of Jesus Christ, and it drives everything they do and every decision they make. It’s just different here. That’s why I chose University of Mobile. Luke Criss is a senior at University of Mobile. Here is his advice on choosing a college. You can read more student blogs at umobile.edu/know-um. Schedule a campus visit at umobile.edu/visit. Visit our booth at Teach Them Diligently Homeschool Conference in Mobile, May 9-11, 2019. Learn about co-op courses for homeschoolers through our College of Arts & Sciences. Discover more about faith and learning at umobile.edu/mission. DID YOU KNOW? You can Register to attend the Teach Them Diligently Homeschool College Fair at one of our 2019 spring events and reserve a meeting time to connect with Cedarville as well as all of our sponsoring institutions in order to get your questions answered, gain insight into the college application process, and get information about majors, financial aid, and much more. Sign up today! 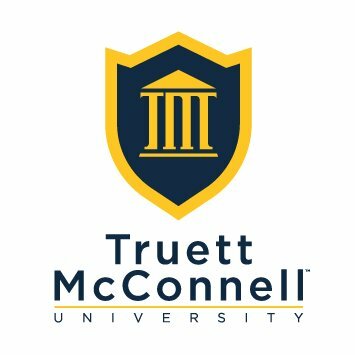 Two weeks ago, while walking down a hall at Truett McConnell University (TMU), I was asked if I would be willing to write a blog on the value of dual enrollment (DE) for homeschooled students. For the next few days, I pondered some ideas. I should have plenty, right? 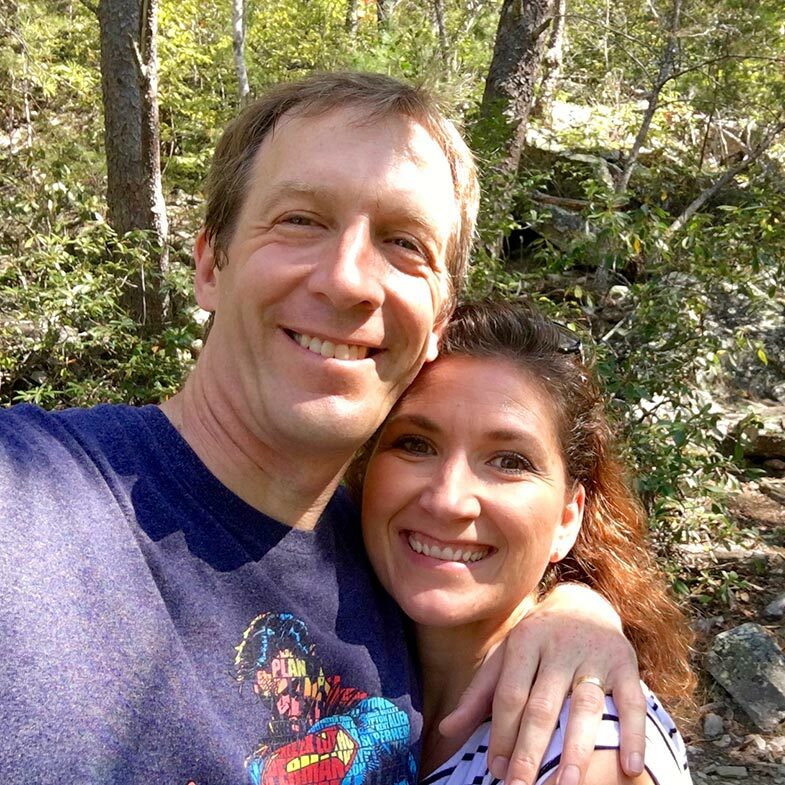 After all, I’m not only the DE program director, but a father of a homeschooled DE student. After researching dual enrollment data by area across the United States, I found steady growth in the funding of DE programs, student success rates in DE courses, and student readiness for post-secondary education after completing DE courses. However, I realized there was a problem with the data. The majority of the information reflected the public school student, while the homeschool community was not even mentioned. First and foremost, DE courses should not take the place of the individual student’s homeschool program. The value of DE courses should be used as a building block in conjunction with the foundations and walls of the individual student’s homeschool program. In doing so, the homeschool student can supplement a high school course with college credit accepted by university admissions counselors and by registrar offices. The DE student is then blessed with an awesome homeschool experience while getting their feet wet in the shallow end of the post-secondary academic pool. Secondly, DE students should start out slow with one or two courses per semester. In doing so, if a homeschool junior takes two DE courses in the fall semester and two DE courses in the spring semester, they would have achieved 12 college credits for their hard work. If the student repeats the same course load their senior year, they would graduate from high school with twenty-four college credit hours and have a jumpstart on his/her education. As a homeschool father, I can add that my son found value in taking DE courses while he was finishing up his homeschool education. He graduated from college early and is fulfilling God’s calling on his life. 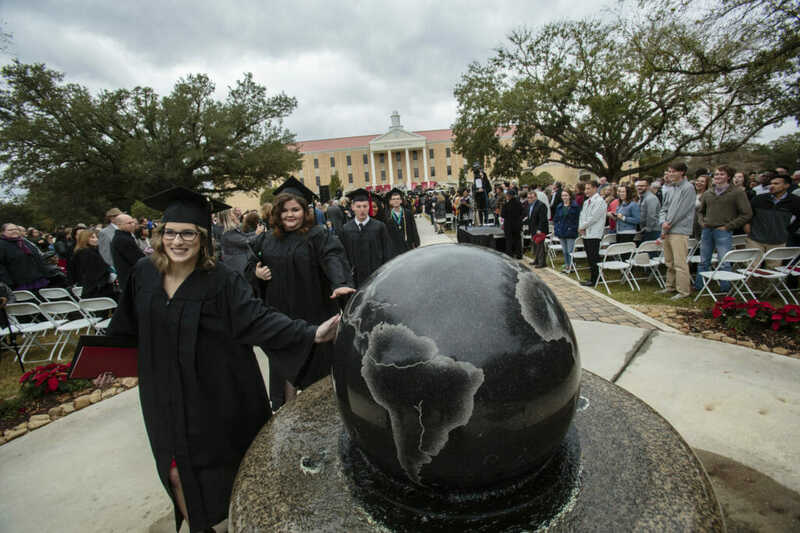 Over the years, I have seen thousands of students take courses as a dual enrollment student at TMU. Some students have found value by taking DE courses as high school students then continued on after graduation and earned degrees from schools of their choice with the confidence they could swim at any level. 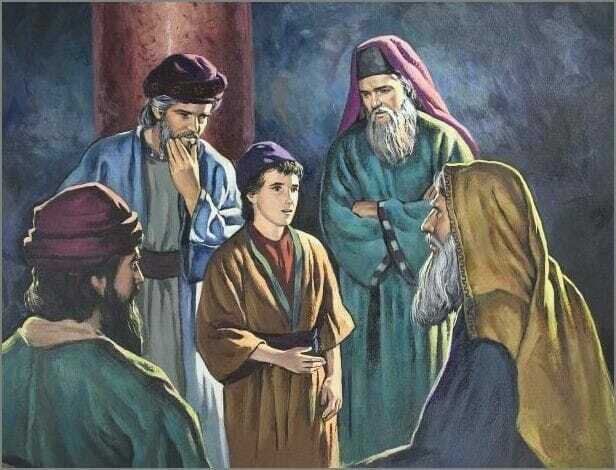 I would like to challenge you to discover what the Bible says about education and the value of attaining a Christian education by visiting www.GotQuestions.org. Maybe the prospect of applying to college riddles you with so much nervousness that it makes your stomach turn. Or you’re just so excited for the next chapter of your life to start that your fingers can’t move across the keyboard fast enough. Maybe it’s a bit of both. Whatever you’re feeling, know that millions of high schoolers across the world are feeling the same exact way. You might be confused about where to even start applying. You might be overwhelmed by the sheer enormity of the task ahead of you. You’re not alone. That’s why we’ve broken down the college application process into manageable steps, to make it easier for you as you embark on this next part of your life. Before you begin applying to colleges, you have to know where you want to go. This may seem like a daunting task, but it really doesn’t have to be. First, consider what you’re looking for in a college. Would you like to live close to home or far away? How big of a school would you like to attend? What college is best suited for your major? If you can, try to visit some schools you’re interested in to see if you like the environment. However, even if you’re unable to go, you can still do a lot of research. Check out school social media accounts and scour their website. Another good resource is online forums where students post about their experiences at the college. Try to piece together the life you might lead at the college and whether you will be able to prosper and grow there. At this point, you should start compiling a list of colleges you would like to attend. One thing to consider while making this list is having at least a couple of “safety” schools—universities that may not be your top option, but ones where you are likely to be accepted. 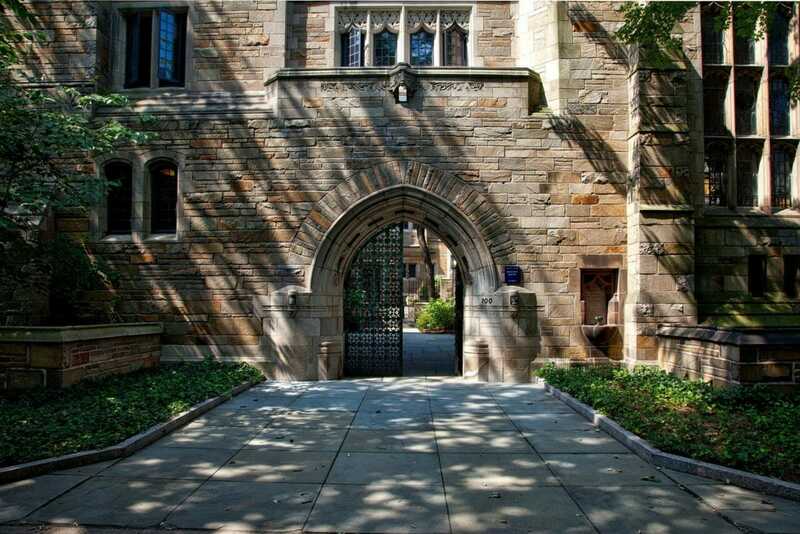 The key to safety schools—which should be obvious—is making sure that these are schools you would actually enjoy attending. Many students apply haphazardly to safety schools, not expecting their other plans falling through, and end up stuck at a college they don’t like. That’s why it’s important to research, research, research. While you’re researching, it’s also a good idea to start looking for scholarships and grants to see if you qualify for any the school offers. 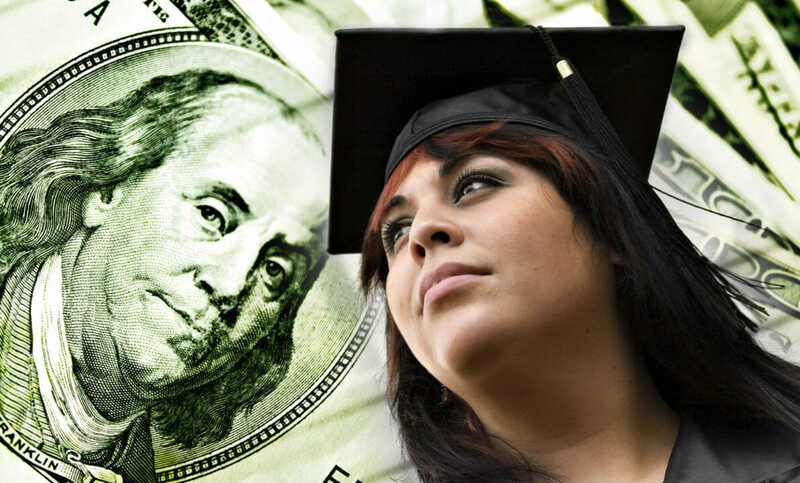 The U.S. Department of Education awards an estimated $46 billion of grants and scholarships each year to high school students, a good portion of which tends to go unclaimed. Pursuing higher education is not a cheap endeavor, so it’s important to be diligent in your search. Once you’ve figured out which colleges you want to attend, it’s time to do the actual applying. Many colleges have you apply through websites such as the Common Application or Coalition. Others, like Bob Jones University, have you apply directly through their own website. A lot of schools will also charge a significant fee just to apply. It’s a good idea to narrow down your list of colleges so it doesn’t get to be too much. Or look for ways to get the cost waived. Be aware of the deadlines for applications. Some colleges have deadlines and others rolling admission, but it’s smart to apply as early as possible. The later you apply, the less financial aid you’ll get and the less engaged you’ll seem in the process. Once you’ve filled out the basic information, it’s time to start on the real application—the essays and the short answers. The importance of the essays varies from college to college. But though the essays are significant, they’re not so much so that you need to agonize over them during every waking moment. You don’t need to exhaust a thesaurus in order to write them, either. The entire goal of the essays and short answers are to see a glimpse of you as a person. To see what you’re passionate about, to see if you’d be a good fit at the university. That’s why it’s crucial to be articulate and sincere. This is probably the least exciting portion of the process—and unfortunately the longest. This is the part where you submit your high school transcript, your SAT or ACT scores, and your recommendations. It’s important to get all of these things in on time, as most colleges won’t even review your application unless they have them all in. After you’ve done this, the only thing left to do is to review your application and submit. Then you can breathe. Once your application is in, there’s nothing else to really do except sit back and wait. Though it’s excruciatingly difficult to be patient as you wait on the decisions, there is assurance in the fact that you can trust in God (Proverbs 3:5–6) because no matter what happens, His plans are the best for you (Jeremiah 29:11). College, though it may seem otherwise, is not the end of the road. Even if you don’t get the answer you want, there are still a million paths to take sprawled ahead of you. Regardless of whether you get accepted into every college you applied to or none of them, your life is still in God’s hands and He is constantly molding you according to His will. 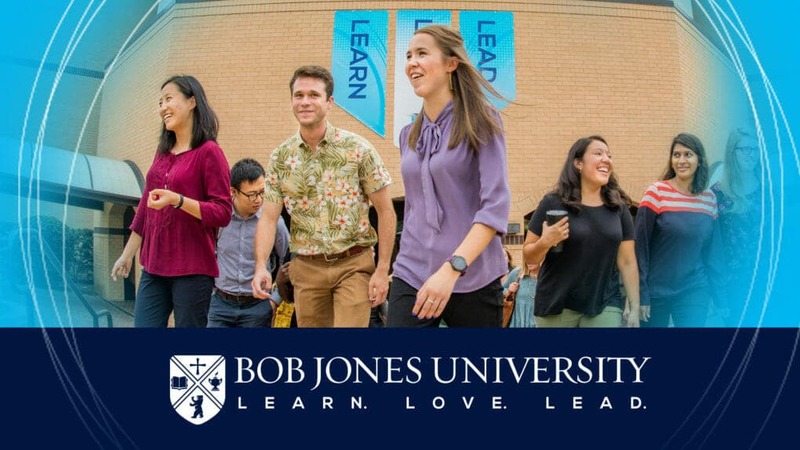 By Andrew Redding for the Office of Admission at Bob Jones University, which is committed to providing an outstanding accredited Christian liberal arts education purposely designed to inspire a lifelong pursuit of learning, loving and leading. Visit bju.edu for more information. Choosing which college to attend will most likely be the biggest decision your son or daughter has made so far. It can be an overwhelming — but not impossible! — decision. 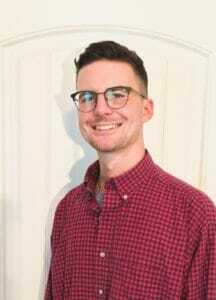 In today’s post, Matt Dearden, Director of Admissions at Cedarville University, offers Five Words of Wisdom for walking through the college decision process with your son or daughter. #1 Begin with the end in mind. What kind of person do you want your son or daughter to be after four years of college? Identify the characteristics that you want to define your son or daughter — academically, socially, and spiritually — and then choose a university that is most likely to produce the results you desire. #2 Recognize the significance of the college years from a developmental perspective. #3 Take time to understand the God-endowed talents, gifts, and abilities that your son or daughter possesses. Do you believe that God endows every image-bearer with a unique set of gifts, talents, and abilities for a specific purpose? If so, then it is important to take time to understand what that means in the life of your son or daughter. As parents we are tasked with nurturing those God-given talents — even during the college years. Help your student choose a major and a career that are a good fit for his or her talents and abilities. Choose a college that is committed to helping your son or daughter develop their gifts for their God-ordained purpose. #4 Ask the right questions to improve your chances of choosing the right college. Develop questions that will help you determine a university’s ability to produce your desired outcomes and its interest in developing your son or daughter’s unique gifts, talents, and abilities. #5 Visit universities during the academic year when you can experience the unique personality of the school. Sit in on classes, attend chapel, meet with students and faculty, and get a sense for what makes each school uniquely different. We will be praying along with you this year as you work through this incredible, life-changing decision. Please don’t hesitate to contact us if we can help in any way! 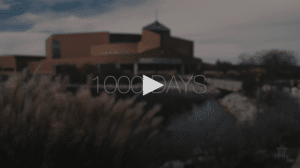 Watch the video below to hear Cedarville’s president, Dr. Thomas White, speak about his passion for equipping students for Gospel impact during their approximately 1,000 days of our campus. Cedarville University will equip you with the in-demand skills and biblical knowledge you need to be a bold influence for the Gospel in your workplace, home, and church. We’ll help you discover and pursue God’s call on your life. When you graduate, you’ll be ready to go boldly wherever He leads. Biblical worldview built into every course. Comprehensive academics, including liberal arts and the professions. Dynamic daily chapel, plus local and global ministry opportunities. First-rate career preparation – 97% job placement rate. To learn more from Teach Them Diligently homeschooling tools, click here to sign up for the newsletter. Do you want more articles from Teach Them Diligently on a wide range of topics like discipleship, academics, family, encouragement and general homeschooling? Just click here to search the vast blog library!